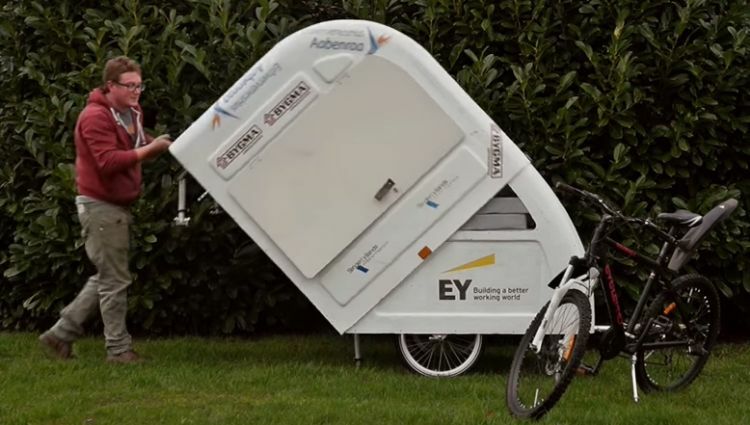 The world's smallest teardrop trailer, doesn't even require having a vehicle to tow it. 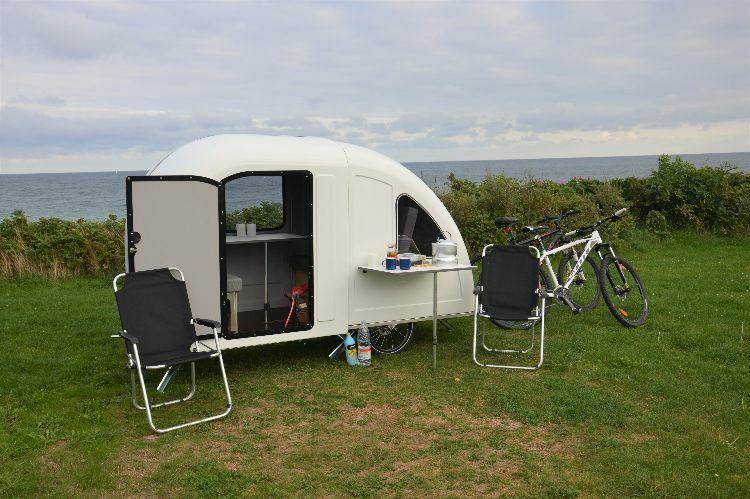 Say hello to the Bicycle Camper from Wide Path Camper. This adorable trailer has everything you need for a cozy camping trip with your sweetheart (or a really close friend). 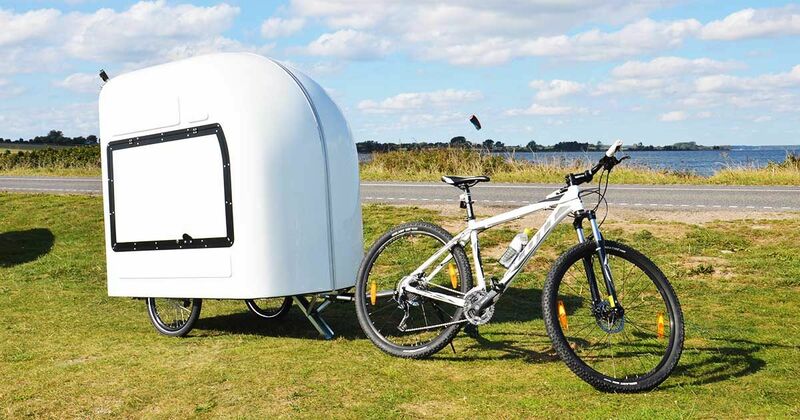 Wherever your bike can go, the Bicycle Camper can too. You're no longer limited to highways, county roads and city streets. The open landscape is all you need to take this compact modern camper anywhere. Setting up camp is easy. The camper unfolds from the back to double the space inside. Many custom options are available for this tiny trailer, including the outdoor and kitchen packages (this includes a cooker, side tables, etc.). 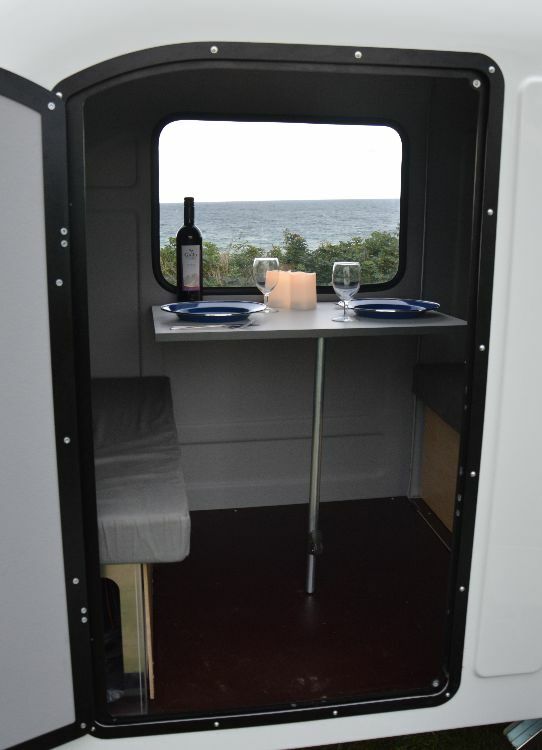 The inside has a two-seater dining table, but you could also use the outdoor package's tables if you have more people. The use of space is incredible. The bed remains folded in half in the main compartment, while the shell allows room for it to stretch out. 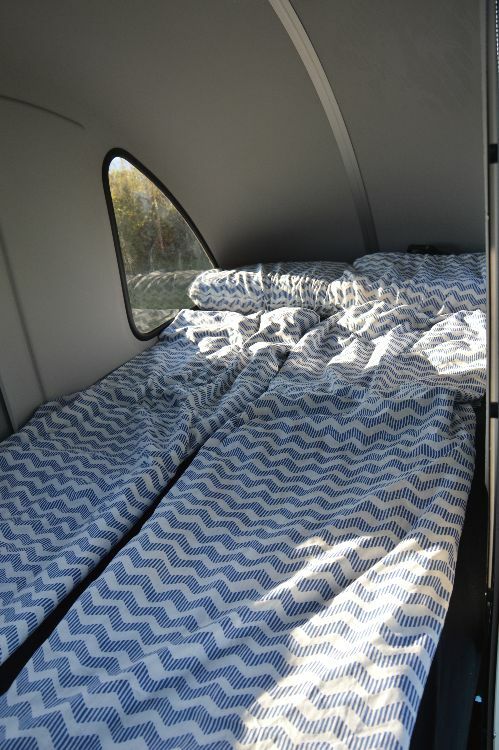 You can fit up to two people thanks to the twin mattresses. It's a little cramped, but the amount of leg room you get with something that can be towed by a bicycle is pretty stellar. Envision yourself sitting around the campfire with friends after a long day of biking. This type of camping experience could be highly rewarding for those who fancy it. And if, on the other hand, you'd rather stick to good old car towing, Wide Path Camper's Homie camper is the one for you. Both models are available for purchase in the United States, though the company is still looking for a distributor to really help grow the business one step further. 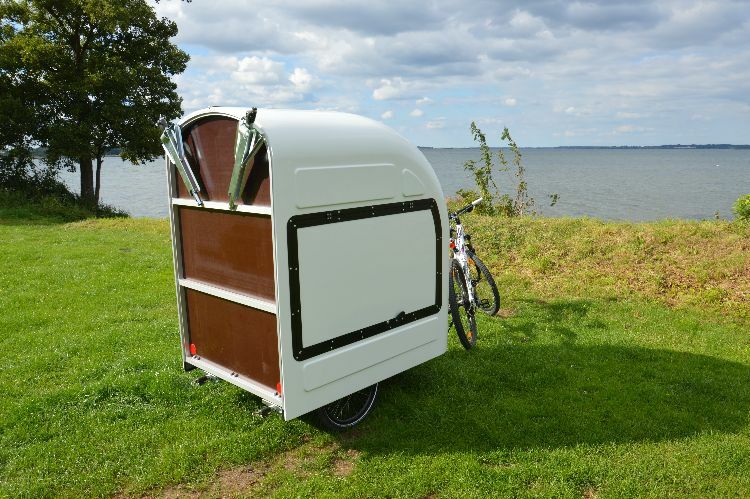 Share this unique teardrop trailer with family and friends on Facebook and Twitter. Remember to like the Teardrop Trailers Facebook page to see more amazing models.